MotionVivid™ — Nichele Van Portfleet's "Stranger Kin"
This past Sunday, I came and took photos of Nichele's rehearsal for a new piece that she has been working on this summer under the mentorship of Doug Varone (all photos shown here are from the piece). For this visual journal, I will take a little bit of a different approach. Instead of writing it from my perspective, I interviewed Nichele so that she can give you more insights into her creative process. If you don't know who Nichele is, please visit her website to learn more about this remarkable artist. 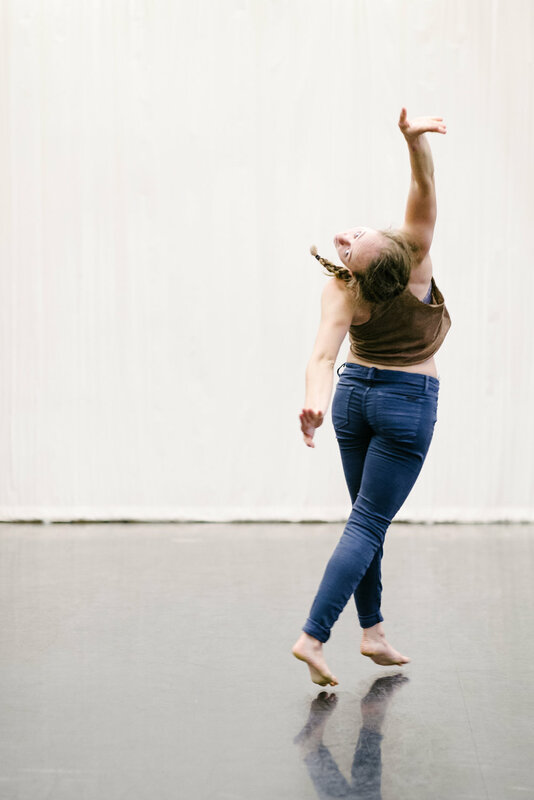 She is currently a second year Graduate Student at the University of Utah School of Dance, pursuing an MFA in Modern Dance. She's an amazing dancer, choreographer, teacher, and a wonderful cohort and friend that I'm so lucky to know and work with. Below is my interview with Nichele. 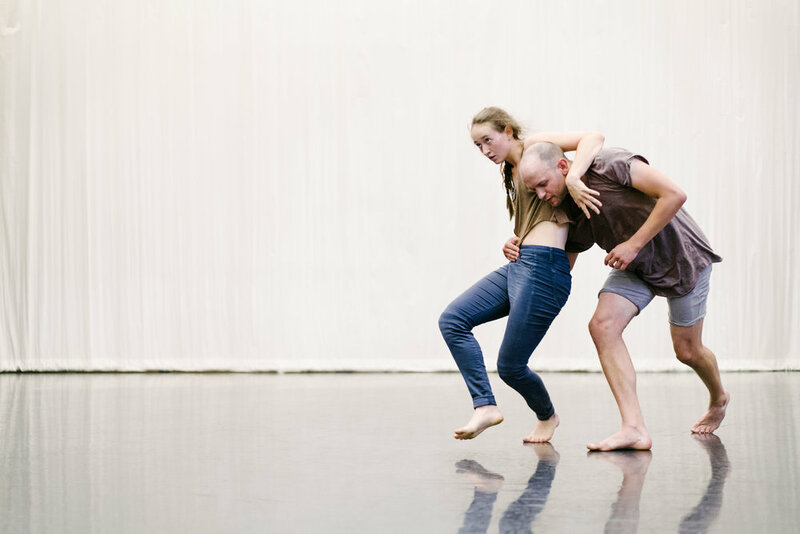 Dat Nguyen: Can you tell us more about Doug Varone's DEVICES choreographic mentorship program? How did you get involved? Nichele Van Portfleet: I have known of and have admired Doug Varone for quite some time. I wasn't searching for a mentorship when I discovered his DEVICES program. I was actually perusing his site while searching for costume inspiration for a dance piece that I was working on at the time. There I saw information about DEVICES and got very excited. Accepted participants to the program began the mentorship by studying with Doug for 6 days at the end of May in New York City. There are 12 choreographers from across the U.S. in the program this year, although about half are based in NYC. Doug brought in 18 beautiful dancers from Purchase College where he teaches, as well as his group of 8 dancers from his company. We were given a warm-up in the morning before diving into the day's exercises, using randomly assigned dancers to experiment and practice creating with. Doug taught us some of his favorite and most useful approaches to generating material quickly. It was hard work, very challenging, and for the most part a lot of fun. DN: What was your experience like? Does it change how you think about choreography? NVP: One thing that was so fascinating about the week was getting to see how 11 other people worked with the same device that I was working with. Everyone was bringing a different array of experiences to the table, so everyone's approaches were different. This allowed me to understand my own approaches more deeply, just by seeing what others had chosen to do, or what they were focused on during the creative process that was different than my own. I found that at the beginning of the creative process I respond more quickly to and get lit up by material that takes up a lot of room, that is energetically large in the space, as apposed to movement material that is smaller and more detailed or intricate. When I returned to Utah to begin the duet that Doug has mentored me through from afar, I decided to begin with a few of those devices he had taught us that generated this kind of larger movement material. About every or every other week I have sent Doug a video of rehearsal footage, to which he responds with his feedback about my process and the piece's development. He has been incredibly encouraging and has pushed me constantly to keep excavating the work. It is a real gift to have someone as talented and experienced as Doug to be so dedicated to my process throughout the rehearsal period. DN: Tell us more about this new duet that you are making. What was it like working with Breeanne and Brian? NVP: Working with Brian Gerke and Breeanne Saxton has been a great experience. They have brought the depth of their own experiences and curiosity to the work, and I have learned from their approaches to the material and to each other throughout the process. They are so present and connected to one another inside of the work—It simply wouldn't be the dance that it is without them. DN: How will this mentorship help you move forward in your future journey? NVP: I'm grateful to this program for helping me to begin to access my intuition in the creative process in a new way. 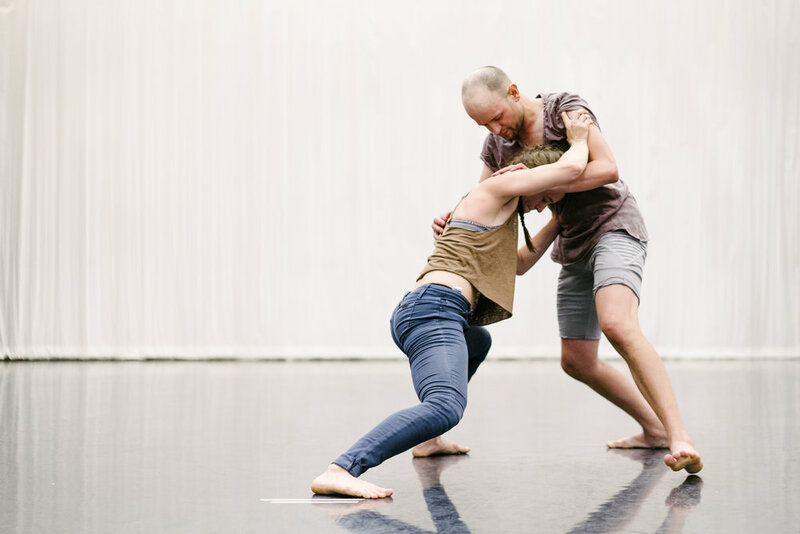 There can be a great benefit to taking a lot of time at the beginning of the process as I often tend to do, but working quickly as Doug has challenged us to do has opened up new ways of thinking and seeing dance for me. I have a lot of questions, old and new, about process that I look forward to exploring in future works. I can't get enough of making dances. It's absolutely fascinating. On August 10 and 12 we will share the new piece, Stranger Kin, to audiences in New York City at Gibney Dance Center. I am very excited to see what my DEVICES cohort has created. It is a great community of talented artists with whom I look forward to reconnecting and staying in touch with in the future.